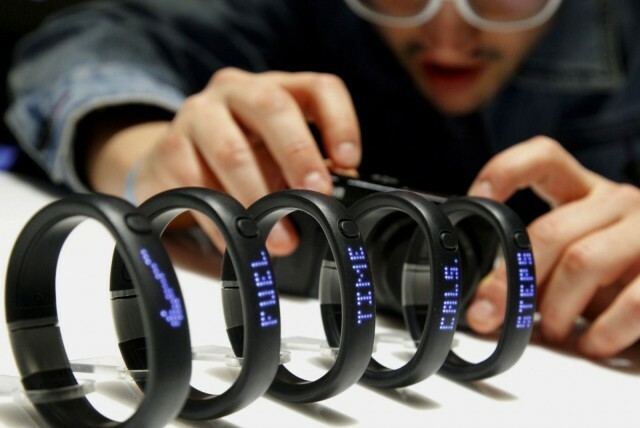 Nike is dismantling the hardware team behind its FuelBand fitness tracker, according to a new report from CNET. The sportswear company, which features Tim Cook on its board of executives, reportedly fired between 70 and 80% of the 70-person hardware team on Thursday. Word of the firings had been circulating on Secret, an anonymous social network for gossip centered around the tech industry, for the past week. 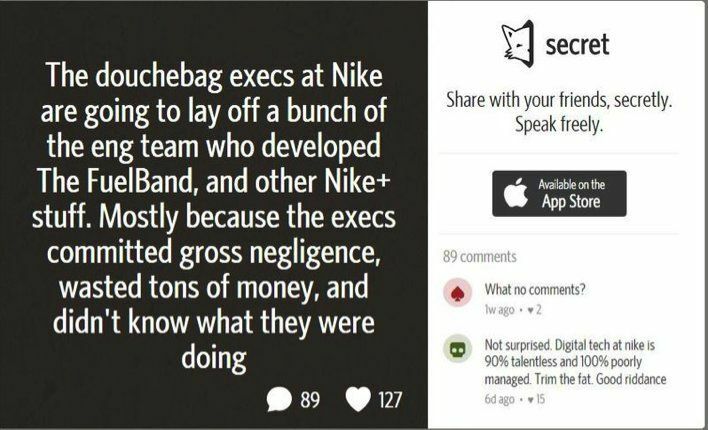 “The douchebag execs at Nike are going to lay off a bunch of the eng team who developed the FuelBand, and other Nike+ stuff. Mostly because the execs committed gross negligence, wasted tons of money, and didn’t know what they were doing,” one post read. This news follows the cancellation of another slimmer iteration of FuelBand, which Nike had planned to release this fall, only to end up shelving the project — along with all other future physical product projects under the Digital Sport masthead. Nike will instead focus its efforts on software that can be incorporated into smartphone technology, which has grown more useful as sensors have improved in recent years. The company will continue to sell the second-generation FuelBand SE fitness tracker — for now, at least. The decision has interesting connotations with regards to Apple. On the one hand, part of the motivating factor in Nike exiting the hardware business is reportedly the entry of Apple and Google — with Nike’s belief being that they can’t compete with the already existing tech giants. On the other, however, its failure doesn’t speak well of general consumer interest in wearables. Tim Cook (who, as noted, has long-held connections with Nike) has previously stated in an interview for All Things D (around the 20-minute mark) that research has indicated a lack of mass market among 10-20 year olds for anything that is worn on the wrist. As if to prove this point, last year’s Samsung Galaxy Gear smartwatch proved a flop in the marketplace — selling less than 50,000 units despite being praised as “the next big thing” in commercials. Of course, Apple’s genius has always been about swooping in and taking a technology that has already been introduced with minor success, and turning it into an uber-succesful mass market product. Could the company have spotted an area that both Nike and Samsung failed to capitalize on? Or is the failure of Nike’s FuelBand line just one more example of why Apple hasn’t yet jumped into the smartwatch category yet?